In this, the first of a series, I provide a comprehensive roundup of the ups and downs in non league, starting with the Football Conference. Dropping back into the Conference Premier after losing their battle for Football League survival, are former Conference Premier Champions Aldershot and Barnet. The Shots won non-league’s top flight back in 2008, and have had some fantastic experiences in the Football League since then, including a playoff finish in 2009-10 and a home League Cup tie with Manchester United. However, things have gone badly wrong since. Five days after being relegated back to the Conference, the club formally entered administration. This, of course, comes with a ten point deduction, which will take effect at the start of the 2013-14 season. Barnet, meanwhile, were relegated on goal difference after a 2-0 last day defeat at Northampton Town, ending their second spell in the Football League. They have dallied with the drop for years, miraculously escaping on the final day of the season numerous times. Even Dutch superstar Edgar Davids couldn’t prevent the somewhat inevitable drop back into the Conference. However, Davids has not ruled out remaining at the club next season, as the Bees move into their new home at The Hive (sorry Wealdstone fans). They have, of course, managed to get back into the league before, winning the 2004-05 Conference Premier, so they will be confident of a swift if not immediate return to League Two. Replacing these two in League Two next season are Mansfield Town and Newport County. The Stags won the league after a phenomenal run of results in 2013. Since the turn of the year, the Nottinghamshire club won twenty one of their twenty five league games, and were only edged out by Liverpool in the FA Cup thanks to a Luis Suarez handball. It has been an incredible surge to the title, with Paul Cox’s team beating Kidderminster Harriers to the title in the last week of the season. Famously, manager Cox was rewarded for their 8-1 thrashing of Barrow by chairman John Radford, who gave him his old Aston Martin! All in all, a brilliant 2013 so far for Mansfield, and their first Football League campaign in six years should be an enjoyable one for the supporters. Newport County earned promotion by beating fellow Welsh side Wrexham 2-0 in the playoff final at Wembley. Two goals in the last six minutes meant a return to the professional game for County for the first time in a quarter of a century. It’s great to see a famous old name make a return to the big time, just as it was when Accrington Stanley got back into the league seven years ago. Things are a bit different at Rodney Parade now, though. Shortly after getting relegated from Division 4 in 1988, they went out of business, and reformed the following June. Nicknamed The Exiles due to the reformed club having to play its first season in Gloucestershire, County are now owned by EuroMillions winner Les Scadding, and under manager Justin Edinburgh, have achieved their ultimate goal. I’m sure they will be competing at the top end of the table next term. Unfortunately, along with those clubs celebrating, we also have four teams dropping out of the Premier. Those clubs are AFC Telford, Ebbsfleet United, Barrow and Stockport County. For Stockport, it’s the latest chapter in a very depressing story which has seen them drop from England’s second tier to the sixth tier in just eleven years. It has been announced by the club that the playing staff will go part time in the Conference North. For Ebbsfleet, their relegation coincides with financial troubles at the club following the MyFootballClub experiment, which seems to have now run its course. 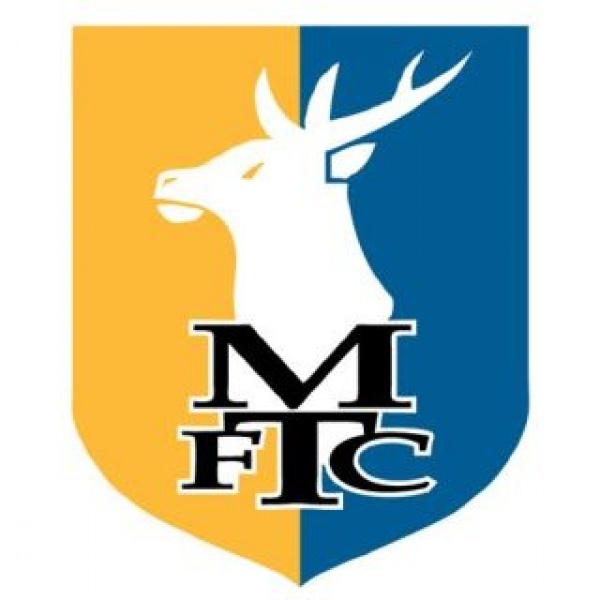 At time of writing, The Fleet are in talks to be taken over by a consortium from Kuwait, which if it goes through would end MyFootballClub’s five year ownership of the club. AFC Telford, under their new manager Liam Watson, will be looking to make an immediate return to the top flight, and have already started strengthening their squad for next season. Watson has raided former club Southport for Simon Grand and Sean Clancy as he looks to assemble his 2013-14 squad. AFC Barrow will also be looking for an immediate return, with manager Dave Bayliss hopefully sorting out a contract for the coming season. 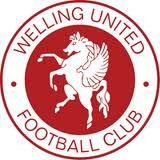 Coming up into the Premier from the Conference South are Welling United. The Wings finished the season four points clear at the top of the South, and will compete in the top division for the first time in thirteen years. Manager Jamie Day has done a fantastic job at Park View Road, improving season on season and finally getting his reward. From the Conference North, Chester FC are the latest reborn club to continue their rise up the pyramid. Neil Young’s side stormed to the title, finishing sixteen points clear of second placed Guiseley. The Blues finished with 107 points and 103 goals as they won their third title in a row, following on from the last two triumphs in the Northern Premier League. They set several new records in the North, for most points, goals and wins, fewest defeats, and a record thirty game unbeaten run. Make no mistake, they will not be looking to just make up the numbers in the Premier, and they could well be pushing at the top of the league next April. 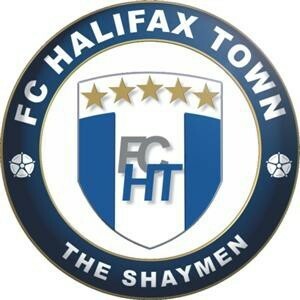 In the North and South playoffs, FC Halifax Town and Salisbury City emerged victorious to complete next season’s Conference Premier lineup. The Shaymen won 1-0 at Brackley in the North final, with Lee Gregory scoring the decisive goal with a quarter of an hour remaining. It’s Halifax’s third promotion in four years, and they are now back to the level where they were before they went bust five years ago. It’s also worth mentioning that they had to play both their semi final and the final away from home, due to them being the lowest placed team in the playoffs. In the South final, Salisbury City edged out Dover Athletic in a thrilling encounter, eventually triumphing by the odd goal in five. At the other end of Step 2, it’s misery for fans of AFC Hornchurch, Billericay Town and Truro City who drop down from the South, while in the North it is Corby Town, Droylsden and Hinckley United who drop to Step 3. The situation at Farnborough could have implications in for Hornchurch, however, as The Yellows entered administration just before the season ended. Under Conference rules, they have to have agreements in place to repay their creditors in full over the next three years before the AGM takes place in June. Failure to do so would see them relegated, in turn meaning a reprieve for third bottom Hornchurch. 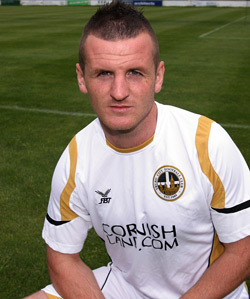 Truro, meanwhile, finished bottom of the table, and have already lost legendary striker Stewart Yetton. Yetton, who is the club’s all time leading scorer, has signed for Southern Premier League rivals Weymouth. Manager Lee Hodges has also gone after not being offered a new contract at Treyew Road. In the North, Hinckley finished bottom with a miserly total of seven points from their forty two games. All of their points came in the month of April, and they ended the season with a goal difference of -106. The relegated clubs will be replaced next season by Whitehawk, champions of the Ryman League Premier Division, and playoff winners Concord Rangers. Also on the up are North Ferriby United and Hednesford Town, champions and playoff victors respectively in the Northern Premier League Premier Division, and the two promoted sides from the Southern League Premier; Leamington and Gosport Borough. More information on these clubs will follow in part two of the series. Relegated from League Two: Aldershot, Barnet. Relegated: AFC Hornchurch (subject to Farnborough situation), Billericay Town, Truro City. Posted on May 13, 2013, in UTL Archive and tagged Conference Premier, Promotion, Relegation, Vanarama NL North, Vanarama NL South. Bookmark the permalink. Leave a comment.